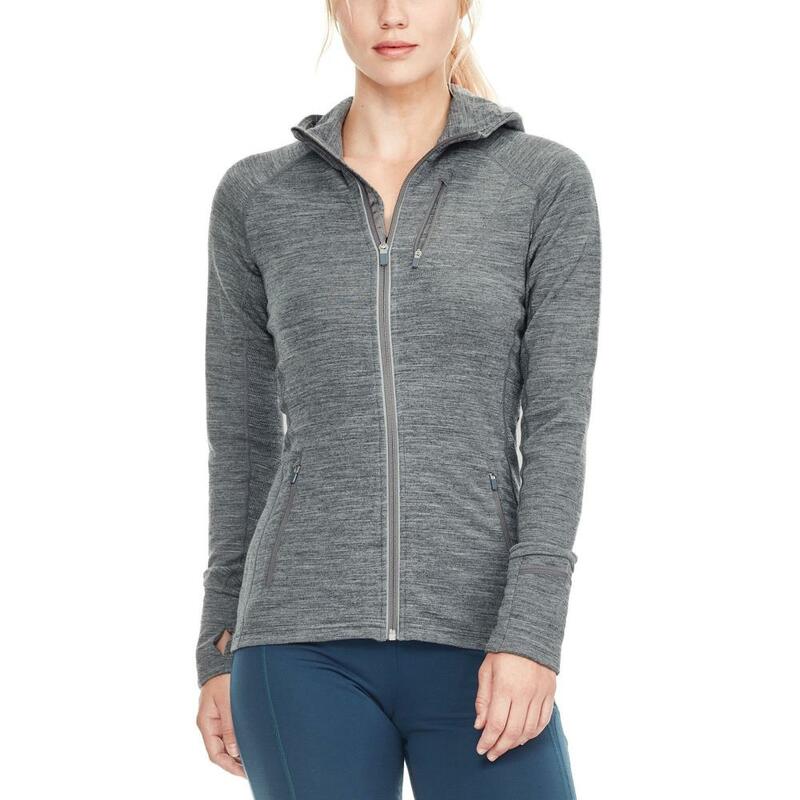 Made from merino wool with a touch of Lycra®, this Icebreaker Women's Quantum Long sleeve Zip Hood Top is an ideal mid layer that will keep you warm in the cold and cool in the heat. 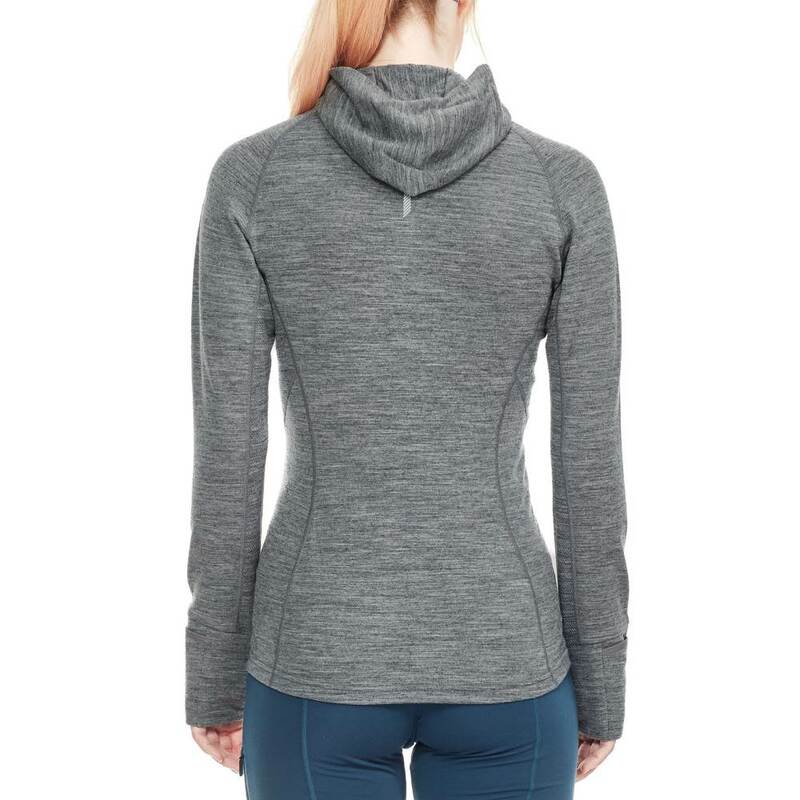 Odour resistant, quick drying and incredibly breathable, this hoodie is ideal for keeping you comfortable while enjoying strenuous activities such as running, skiing, hiking, climbing as well as being versatile and suitable for every day wear too! This technical top has been designed with Icebreakers panels of the stretchy 260gm merino terry fabric for excellent heat retention and with merino eyelet mesh in key areas for ample ventilation, this coupled with the fact that merino wool is naturally odour resistant and breathable makes this an excellent performance top. 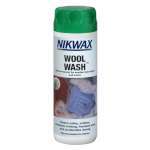 With a lightweight fitted hood which has a gentle and soft lining which offers extra warmth and protection while being low bulk to be able to be worn under a helmet or tucked in under outer layers. The Quantum Zip Hood has underarm gussets and raglan sleeves for mobility, while the flatlock stitching and forward set side seams eliminate chafing for an extremely comfortable wear. 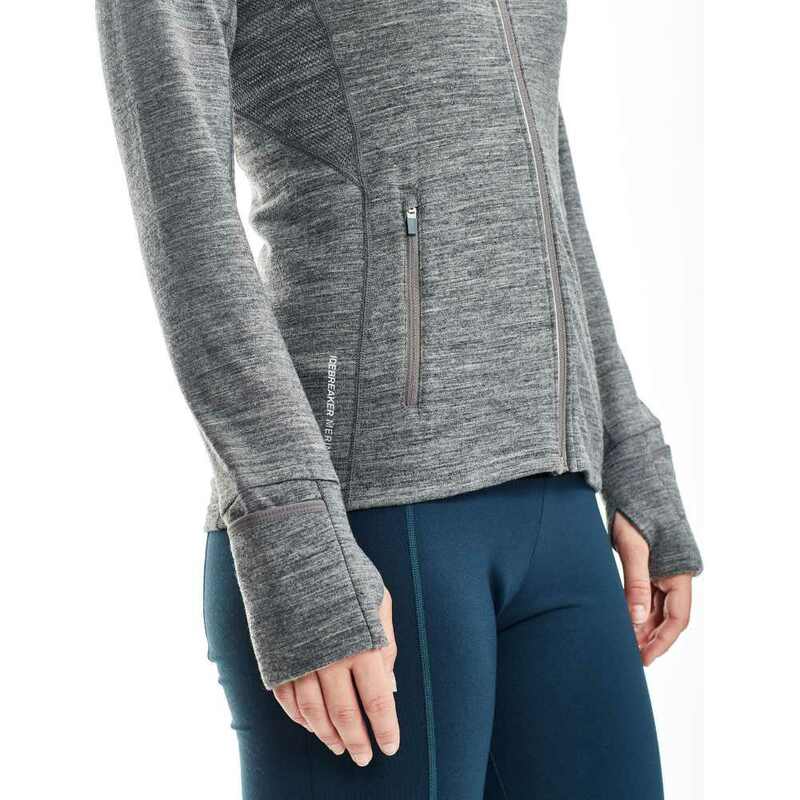 Our favourite feature of this Icebreaker Jacket is the fold over cozy cuffs, which you can fold over your hands like mittens when your hands are cold and then fold them back into a cuff when you do not need them! An absolutely ingenious idea that means you don't have to worry about carrying a pair of gloves while you are out! 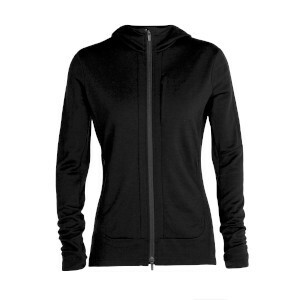 To finish off this fantastic jacket, there are two zipped hand pockets and a zipped chest pocket to keep your personal items close to hand and plenty of reflective detailing, including running down the front zipper, on the front logo and stripe on the back to help you be seen in low light conditions. 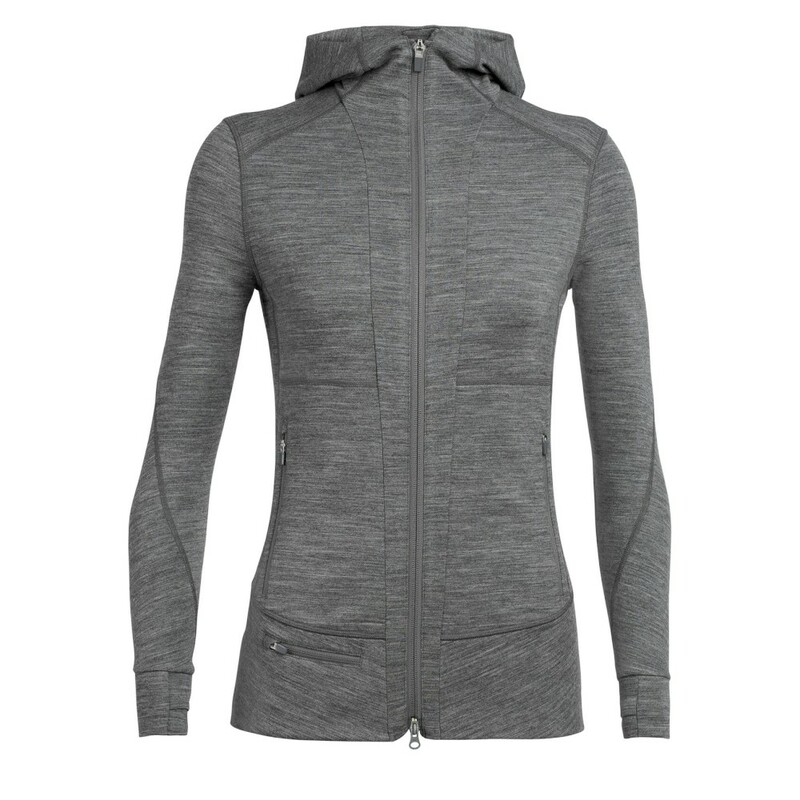 We have been incredibly impressed by this Icebreaker Quantum Zip Hood Top and we think it will be an absolutely indispensable midlayer for colder temperatures and perfect outer layer in warmer temperatures!